It’s really not necessary to expand too much further on Lennon’s lyrical wisdoms. He pretty much got It. But do we? I’m not entirely sure that we do . . . not as consistently as maybe we would like as individuals . . . and certainly not on the whole of humanity. Sure, we have love with our friends and our family, but how far beyond our inner circle does that love spread? This is an aspect to challenge yourself on and step outside of your comfort zone. And if love feels a little too ooey gooey as a starting point, then think in terms of empathy, compassion, and even just simple kindness and acts of kindness. Yes, I did say ooey gooey by the way. In that vein, do you show kindness to strangers? What are you like when you get behind the wheel of your car? How do you treat the clerk at the grocery store after standing in a really long line? Do you smile and wave at your neighbors? Do you go out of your way to help colleagues at work? To serve others? 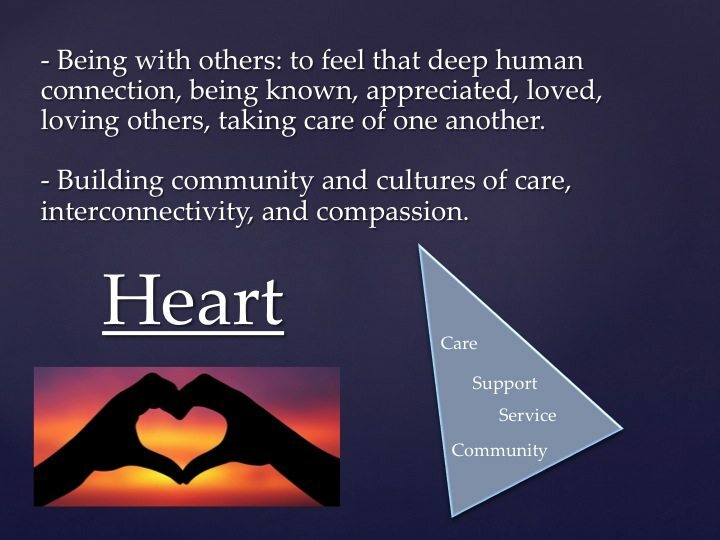 The heart is all about the incredible experience of human connection. That connection invokes powerful emotions, emotions that offer deep wells of creative energy and inspiration to transform our world into a better, brighter place . . . and not for the sake of ourselves, but for the sake of others . . . for the sake community.